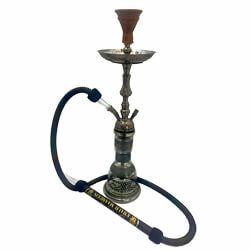 The Single Hose Hookah offers one of the truest and most traditional forms of hookah smoking. 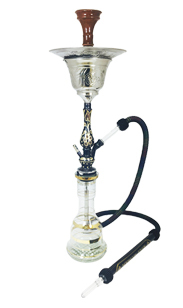 For many years, the only way you could enjoy the sweet smoke from shisha was from a single hose hookah. We at SouthSmoke.com honor these time-tested traditions. We've searched the world to bring you an extensive selection of single hose models. 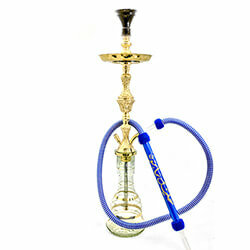 If you're ready to enjoy hookah the way it was meant to be smoked, welcome to the world of the one hose hookah. 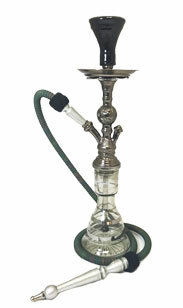 Traditionally, smoking hookah is a social activity. 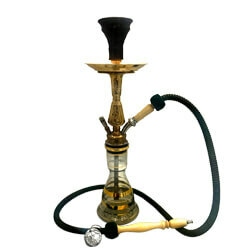 That's why the One Hose Hookah has remained the most popular hookah model, even today. Single hose smoking is a traditional style that promotes sharing. First you enjoy the puff of the shisha, then you pass it to the next smoker. 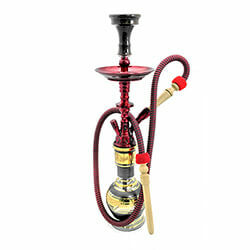 Each person in a pair or small group gets to savor the sweet and thick hookah smoke before it gets passed back to them. 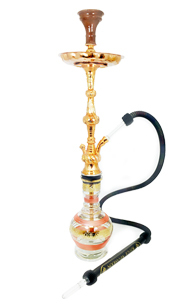 Each hookah session is an exquisite, intimate experience with a one hose hookah! 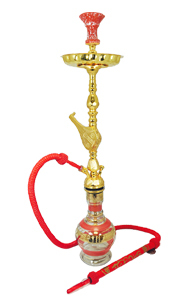 Each One Hose Hookah here at SouthSmoke.com has the timeless quality that you'd expect from this ancient tradition. 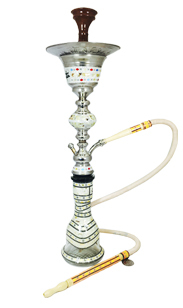 Our premium selection is comprised of beautiful handcrafted hookahs made from metal, ceramic, and glass. 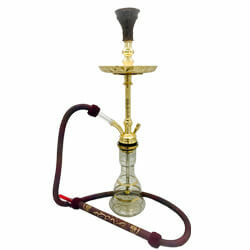 Khalil Mamoon single hose hookahs let you enjoy an exotic and authentic smoke. 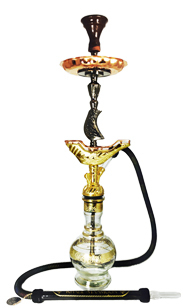 Handmade in Egypt, all Khalil Mamoon hookahs are shaped by artisans and masters of the craft. 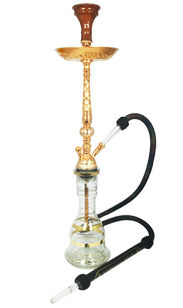 Immerse yourself in the Middle Eastern culture associated with the fine art of hookah with a Khalil Mamoon today! 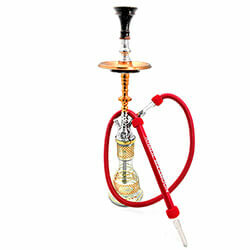 Or if you're looking for a more modern take on hookah, try Vapor Hookahs. 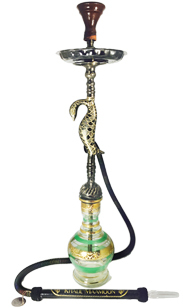 These combine style and convenience into all their one single hose hookahs. 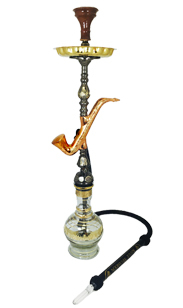 We also have Mya Saray and Starbuzz to choose from. 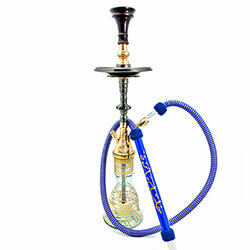 Enjoy the truest form of hookah with a 1 hose hookah. 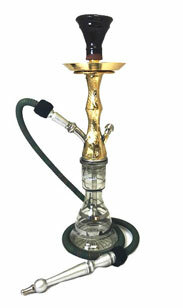 Once you've chosen a style that speaks to you, browse the many hookah accessories at SouthSmoke.com. 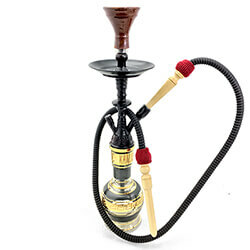 Then enjoy and create your own traditions with your new 1 hose hookah! 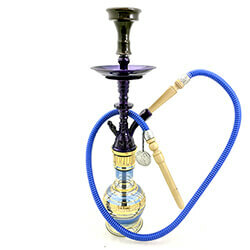 If you are looking to invite more friends to share in the pleasure of smoking your one hose hookah, or you don't want to wait to take turns, many one hose hookahs transform easily into multi-hose hookahs. This feature is a modern convenience that saves you time and money. Best of all, you won't sacrifice any of the qualities that make hookah smoking a classic pastime. Not finding what you're looking for still? 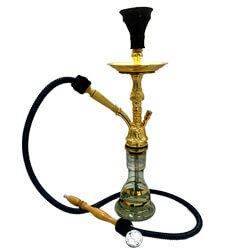 At SouthSmoke.com, we're confident we have the hookah or hookah accessory for you. Please visit our online store and contact us if you have any questions. We want you to be ultimately satisfied with your purchase!